I like to travel and explore new things.In this economy families may opt not to spend money in hotel and just enjoy the less expensive vacation or "staycation" and enjoy the best they can. Renting a holiday apartment while traveling would be a great option if you're on a budget or want to travel like a local. Price- Most rental apartment are less expensive compare than a hotel rooms.Of course it depends of the rooms you want to rent. Feels like a home- With fully equipped apartment, this would give you a chance to live like a local. 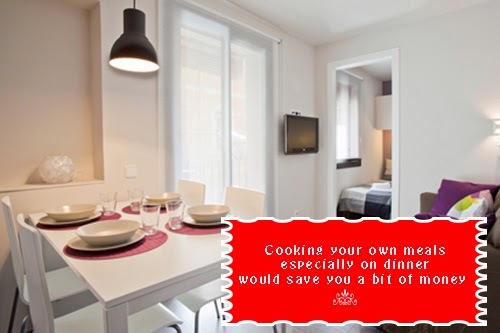 Cook your own meals-If you're on budget cooking your own meals especially on dinner would save you a bit of money and spend it for other things like buying souvenirs, buying tickets for sight seeing. Pantry-You can't beat of having your own pantry. You can easily choose from 1 bedroom to 3 bedrooms. If you have friends or big family, obviously you save money for renting an apartment and enjoying the space that you can't get in any lodging. 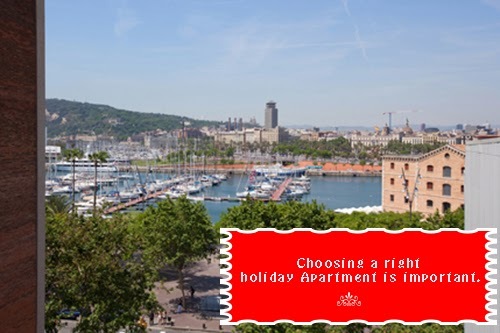 Choosing a right holiday Apartment is important. In today's technology you can surf the web and book at the same time. It is like you're booking in a hotel.First, check the availability then enter your credit card. Like other lodging apartments there is a minimum stay of 2-3 days. Before you book in online always check the policy and cancellation. This is true in any ways. Check-in and Check-out- Always check the time before arrival and departure.It is important to know the exact time so you can plan ahead of time. Keys-Ask where you can get your keys. Amenities-It is necessary to ask the amenities so you know what to bring on your vacation and if you have your gadgets ask the electrical circuit. Cleaning service-Ask how much is the cleaning service? Is it included or you have to pay extra. Emergency number-I know most of us doesn't want to think problem might occur during our vacation.In case of emergency you know what numbers you may contact during business hours and after business hours. Apartment rules-Rules is the important things we should know. Some apartment has basic rules and you need to comply or else you get penalty. This is the kind that we used when we had our vacation in Texas, it's cheaper. have not stayed yet in a holiday apartment, this is something i would like, being able to cook, since i usually do not like the foods outside, once or twice is enough, but everyday during vacation, I feel so weak and could not stomach anymore restaurant foods. Yaks, I don;t know much about the topic. The lasr time we travel kasi, we stayed in a hotel. Eh mas cheaper pala kung we rent a Holiday Apartment. Sige, if and when makapunta kami ni misis sa Israel then I'll take your advice. There are plenty of holiday apartments around here. To be honest, we never tried one. But I can see the benefits of choosing it over hotels. Maybe in the future will consider to book in apartment rather than hotels. Oh wow, I miss going on vacation. I think we didn't go out of town this year. A holiday apartment sounds good. I have not been in a long vacation far from home. I will keep these tips in mind.